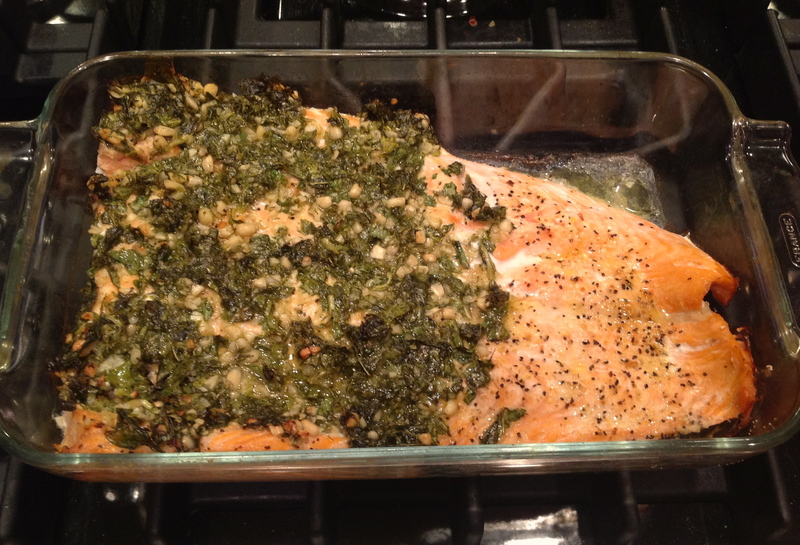 Mix everything into a bowl; spread it over the salmon and bake in the oven for 20-30 min 300 Fahrenheit (depending how thick the salmon is) together with the Veggies. Mix it together and bring to a boil. 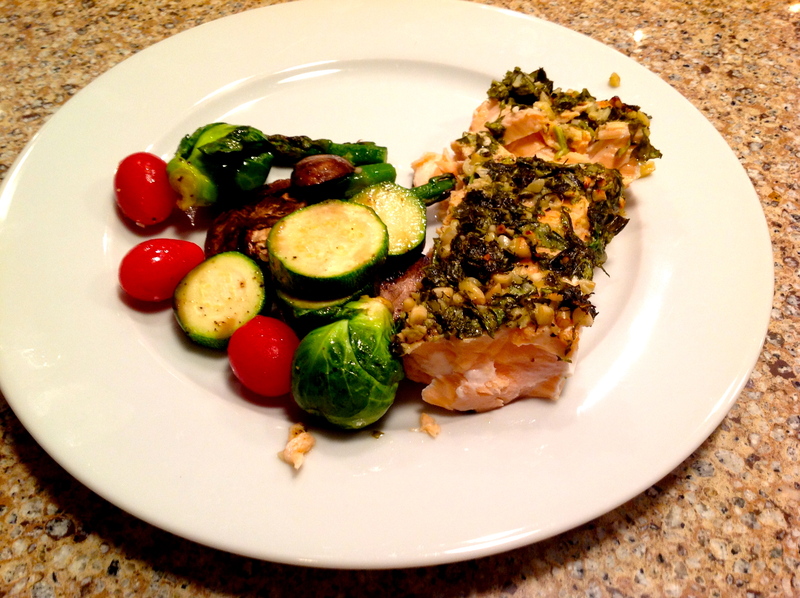 This entry was posted in Recipes and tagged Pesto Salmon with Veggies, recipe by Malin. Bookmark the permalink.